Dog owners love to give their dogs supplements. In 2016, Americans spent $580 million on pet supplements, an increase of 3.5% from the year before. And there’s been a similar trend in the UK / Europe, with pet supplement sales increasing year on year over the last decade or so. So what is it that’s changed in nutrition, food production and people’s attitudes that means they’re now willing to spend hundreds of pounds a year on supplements for their dog? Lets take a look at pet supplements – what they are, if they work and what to look out for. The vast majority of dog owners love their pet and would do anything to ensure they lead a happy, comfortable, healthy life. And while this is absolutely how things should be, there are people out there who will try and exploit this love. They are preying on dog owners who are looking for something, anything, to help their dogs. This is part of the reason that we’re seeing more and more pet supplements for sale – manufacturers are taking advantage of peoples’ love for their pets by selling them products they very often don’t need in order to make a profit. Manufacturers advertise that their supplements can ‘cure’ your dog of a whole range of different disease, or ‘prevent’ them from developing them in the first place. The idea that supplements will help your dog live a better, fuller life is reinforced by the packages supplements come in, which have images of happy dogs with immaculately shiny coats on them. They may have a ‘before and after’ picture showing how much the dog benefited from taking the supplement. Sometimes they may even have testimonials supporting the (wild) claims made. All of these clever marketing ploys are designed with a specific bottom line in mind – to make the manufacturers sell products and make money. Another reason we’re seeing more and more supplements being bought is that dog owners don’t want to feel like they’re denying their dog this something ‘extra’. And then there’s the ‘band wagon’ mentality – people see others giving their dog supplements and hear about how it worked miracles for them so they decide to do the same. It is important to remember that there is no ‘one size fits all’ approach to nutrition and dietary supplements. Just because it works for someone else does not mean it will work for your dog – or even be safe. The production, testing and sale of any medicine – be it for human or animal consumption – is a tightly controlled and regulated process. This regulation is overseen by the Medicines and Healthcare products Regulatory Agency (MHRA) in the UK and the Food and Drug Administration (FDA) in the US. But in both these, and virtually all other countries around the world, these regulations don’t extend to supplements. Instead, supplements are typically classified as foods rather than medicines. This means that they can be sold under less stringent regulations and without having gone through as thorough a vetting and testing process. This applies to supplements sold for both humans and pets. Because of this, a lot of supplements are sold without having been shown to be safe, without having been shown to contain what they say they contain and without having been proven to do what they claim to do. A fine example of this is Sanus Biotex. It is marketed as an “all-natural” proprietary blend that promise to slow down the progression of degenerative myelopathy and reduce inflammation. First of all, there is no cure for degenerative myelopathy and there are not treatment that have consistently worked to slow the degeneration. It is an irreversible and progressive disease. It is a neurodegenerative disease not an inflammatory disease. By hiding behind their ‘proprietary’ blend of ‘natural herbs and extracts’, they are able to avoid revealing what’s in their product which means you have no idea what you are giving your dog. Ingredients listed on their bottle are a mixture of herbs, vitamin and other ingredients. None of which has shown to be effective (or even safe) in treating or preventing any disease in dogs. And then there have been reports of supplements being contaminated with substances including lead, mould, mercury and other dangerous compounds that could in be detrimental, or even lethal, to your dog’s health. All of this means that the safety and quality of pet supplements is questionable at best, dangerous at worse. Care should be taken when considering using them. It’s time to answer the big question – does your dog really need a supplement? Unfortunately, there’s no straightforward answer to the question. Whether or not a dog would benefit from supplements depends on the individual dog and their individual circumstances. If you your dog is happy and healthy and you’re feeding them a nutritionally balanced diet, then the answer is they’re unlikely to need supplements. On the other hand, if your dog has underlying health problems or deficiencies, they may benefit from certain supplements. However, do not be tempted to ‘just try’ and use every supplement that seems to be the latest craze. Talk to your vet or a nutritionist before you give supplements to your dog. 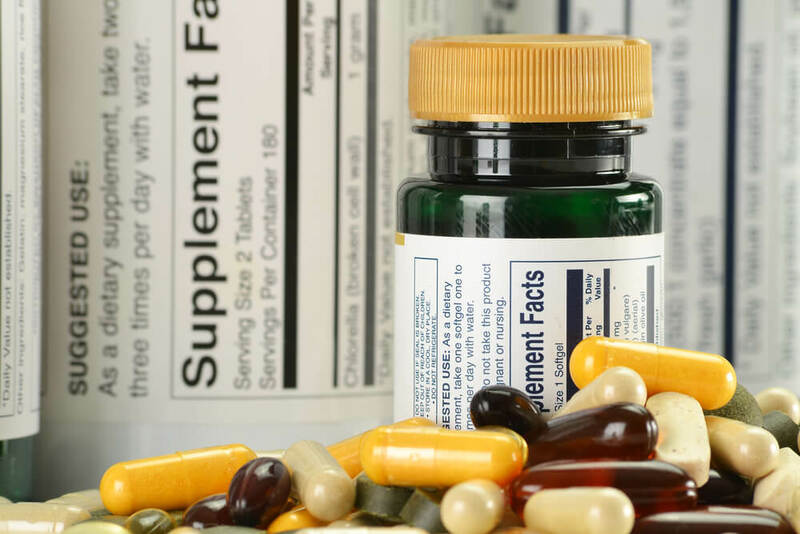 They can help you determine which supplements to use (if any), and which are a waste of money. They will be able to recommend good brands, explain about quality control and advise you on the correct dose to give. Please take care when using supplements to make sure you really are doing right by your dog. Even if they claim to be ‘natural’ (whatever that means). Is there something fishy about omega-3?